Proven bargains in the Swansea City squad can play a big role for Fantasy Premier League managers in Gameweek 37. With managers scrambling for premium-priced signings, in particular strikers Harry Kane (£13.1m) and Gabriel Jesus (£10.4m), the value on offer from the Swans looks key. 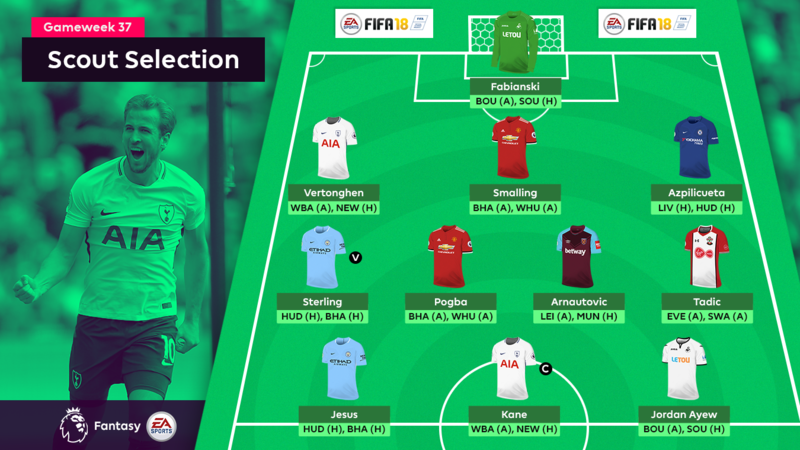 Two of their top FPL performers earn a place in The Scout’s XI for the Double Gameweek, which lines up in an attacking 4-3-3. The top-ranked player for points-per-million value (30.0), Swansea’s goalkeeper can boost that tally further over matches at AFC Bournemouth and at home to Southampton. He is second only to Jack Butland (£5.0m) for saves, so points look assured even if he misses out on clean sheets. The Belgian looks the most likely to feature in both of Tottenham Hotspur’s matches at West Bromwich Albion on Saturday, and against Newcastle United at Wembley Stadium in midweek. Ranked top in the Bonus Points System (BPS) among their defenders, Vertonghen could also deliver bonus points if Spurs can add to their tally of 15 clean sheets. Another reliable starter, Smalling has always featured on Jose Mourinho’s Manchester United teamsheet over the last 13 Gameweeks. With three goals in his last seven starts, he also provides the potential for attacking points in fixtures at Brighton & Hove Albion and West Ham United. The highest-scoring FPL defender is always in the mix for bonus points as the top-ranked player in the BPS overall. Azpilicueta has also been directly involved in eight FPL goals for Chelsea (two goals and six assists). Top of the FPL form charts, the winger has produced a goal or an assist in each of his last seven Gameweek starts. Sterling has been directly involved in 35 goals before two home fixtures with Huddersfield Town and Brighton & Hove Albion, second only to the 42 goals that Mohamed Salah (£10.5m) has been involved in. The recent shift to a 4-3-3 formation has handed Pogba greater freedom to join the United attack and, with Romelu Lukaku (£11.5m) sidelined, that could be a factor over two Gameweek 37 fixtures. Pogba has three goals and an assist from his last three starts. West Ham’s bid to ease relegation fears will likely depend on the Austrian’s performances at Leicester City and against Man Utd. Arnautovic has 10 goals and five assists from his last 16 Gameweek starts but is found in just 6.5 per cent of squads. Tadic has stepped forward to drive Southampton’s effort to steer clear of the bottom three. The Serb has three goals in as many matches and takes an ownership of just 3.2 per cent into matches at Everton and Swansea. The Brazilian has taken his opportunity in the absence of the injured Sergio Aguero (£11.5m), producing four goals and three assists from his last five starts. Over 190,000 managers have swooped for Jesus ahead of today’s 19:00 BST deadline, ensuring he is among the top three most-signed players for a third successive Gameweek. The Spurs striker has struggled with form in recent matches but still heads into his two fixtures on the back of two goals in two starts. Kane trails Salah by four goals in the race for the Golden Boot, having scored five goals and earned 31 points in two Gameweek 37 matches last season. He edges out the two Man City attackers to wear our armband. 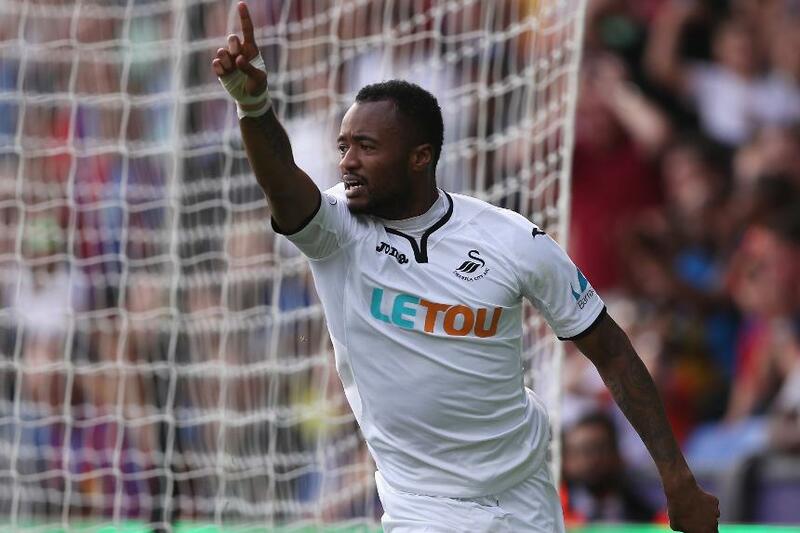 Seven goals from 14 Gameweek starts indicate the Ghanaian will be the main source of attacking points over Swansea's matches at AFC Bournemouth and at home to Southampton. Only Kane and Jesus have attracted more new owners among forwards this week.